Method of using images for borders. 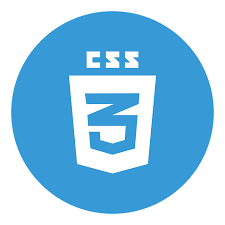 CSS3 Border images is partially compatible with prefix -webkit- for Chrome browser 4 to 14.Has a bug where border-image incorrectly overrides border-style.Chrome 15 to 67 support this browser property partially. This browser property is not compatible for Firefox 2 and 3.This property is partially supported with prefix -moz- for Firefox 3.5 to 14. Firefox 15 to 49 partially supports this web element. CSS3 Border images is supported for Firefox 50 to 60. IE browser 6 to 10 doesn't support this browser element. IE 11 supports this browser property. Safari 3.1 to 5.1 partially support this web element with prefix -webkit-.This property is partially supported for Safari 6 to 9.Partial support refers to not supporting border-image-repeat: space. Safari 9.1 to 11.1 supports this web property. CSS3 Border images element is supported by Microsoft Edge browser. Opera browser version 10.1 doesn't supports this property.CSS3 Border images is partially compatible Opera 11.5 to 53.